Need a windshield repaired? Executive Windshield Repair can fix your stone damaged windshield instead of replacing at your location in as little as a half an hour. All our repairs are guaranteed for as long as the customer owns the vehicle. We serve the greater Milwaukee, Wisconsin area, including Waukesha County, Racine County, Kenosha County, Ozaukee Washington County, Jefferson County and Dodge County. Watch a quick video from a satisfied customer. Monday – Friday, 8 a.m. – 6p.m. Saturday, 9 a.m. – 4 p.m.
See our special offer below…. Our customers save time, hundreds of dollars, and avoid problems common with windshield replacement. 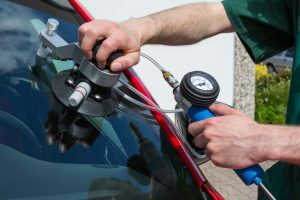 Find out what types of damage can be repaired, how repair is done, what it costs to repair your windshield right now. Windshield repair is an effective solution to cracks, chips and other types of windshield damage. We use the latest state of the art tools and techniques to repair your windshield. After the procedure, the repair is water tight and is often invisible. Repair is a cost effective alternative to replacement and costs hundreds of dollars less. We can also stop a crack from spreading to the point where replacement is necessary. Call us today at (414) 975-5513 to find out how easy and inexpensive it is to have Executive Windshield Repair fix your broken windshield. We come to your home or business to save you time and make the process more convenient. Locally owned and operated. Fully insured and approved by all insurance companies. Mobile service - no extra charge, we'll come to your home or office - or we can meet you while you're out shopping!